Being capable to manage your own home repairs is often very beneficial. It can also serve as a helpful way to save more money as you handle a rental property. If you possess the skills of a handyman in doing minor repairs, basic plumbing tasks, or appliance fixes, then you don’t need to pay a local tradesman for the convenience call. Yet, even the best DIY handyperson must know when to ask for professional help. Despite the fact that you can do the majority of rental property repair tasks yourself, it does not mean that you should. How much do you value your time? Although you have sufficient time and energy to take care of the repair alone, financially it makes better sense to seek a trustworthy professional to carry out the job. Not only that, but even highly skilled DIY property owners even find themselves confused once they attempt to perform each repair. Tenants often have no concern about whether or not you are saving money by solely doing the repair. If you are not comfortable with correctly, quickly, and conveniently doing the job, it is advisable for you and the tenant to employ a qualified technician. It is important to make good choices with the situations you can control as a landlord, one of the reasons that tenants move out when the lease is up can be partially due to the unpleasant encounters concerning poor maintenance. The money you might save by doing the self-repair becomes a bigger loss in the long term. The situation is similar when you hire a full-time property manager. Aside from the convenience it can bring, oftentimes the cost of hiring a professional property manager makes financial sense in the long run as well. Apart from some cases such as replacement of battery and light bulbs, the landlord must be responsible for maintenance and repairs, both in a physical and financial sense. If the tenant breaks a window by throwing a baseball through it, they are accountable. However, the landlord should know about the incident and must handle the repair, communicating with the tenant to ask for funds or ask for money deducting from a security deposit. However, when an appliance declines during the tenant’s stay, and is due to the normal wear and tear this is often the responsibility of the landlord. Landlords would be held accountable for fixing or replacing any old appliances. Landlord or property managers are well equipped to handle and prevent regular maintenance tasks that tenants will encounter. For example, if your tenants are able to regularly replace smoke detector batteries and furnace filters, it does not mean they remember the steps in doing so. 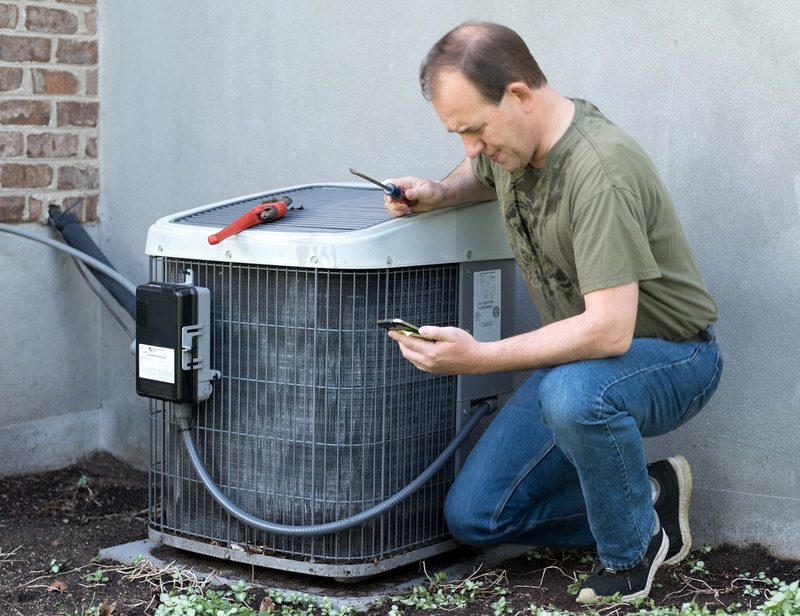 By replacing important maintenance items such as new batteries and filters during an inspection at scheduled and regular intervals this will encourage your tenants to remember to do so. Don’t forget the outdoors, too. Trees grow, debris builds on gutters, leaks develop on faucets and sprinkler systems, and bees make hives. Be watchful for small issues both inside and out to solve them quickly. Include recognizing potential future problems that you can prevent by planning ahead. Both ways of thinking are inaccurate. So deciding between repairing and replacing a broken appliance depends on a number of factors. Before you repair in a frenzy OR replace hurriedly, take the age and condition of the appliance or structure, the expected lifespan, past fixes, and safety concerns (including the main reason of the deterioration, if applicable) into consideration. The general rule is that if an appliance is beyond half of its expected lifetime and the repair cost is more than half the cost of replacing (note, not necessarily half the original cost – there is a difference), then choose replacement rather than repair. Another reason to select repair over replacement is for tax purposes. Money spent on rental property repairs can be deductible on that year. To reiterate, it is necessary to consider the impact, implications, and impression for your tenants. Think of the consequences associated with repair such as losing a good tenant since the repair took years and countless repair calls only to get an appliance destroyed again a month later. An ounce of prevention is worth a pound of cure, but a pound of cure trumps seventeen individual ounces of repair. Tenant Misconception: The security deposit is for the past month’s rent, yes? Despite plenty of landlords asking for a security deposit that equates to a month’s rent, it does not signify that those funds are allocated for the previous month’s rent. Unless the tenant and landlord signed a written agreement, the rent last month must be completely paid and the security deposit will be dealt with separately. Although the full return of security deposit must take place, it should not substitute for the past month’s rent. Landlord Misconception: You can use the security deposit during the make-ready process, between vacancy repairs and cleaning costs. The security deposit is present to cover unpaid rent and necessary cleaning or repairs that were not caused by the normal wear and tear. Some property owners purposely extend this rule, while others do it out of ignorance. Despite that, the security deposit should not replace 15-year-old countertops or be used to paint the home after 7 years. Unless the tenants’ intentional or sloppy behavior has caused the serious damage, the security deposit should NOT pay for these standard wear-and-tear repairs.